Building on their electoral sweep of the People's Assembly (the lower house of Egypt's parliament), Islamist parties dominated recently concluded polls for the Shura Council (the upper, consultative house of parliament), results of which were announced Saturday. 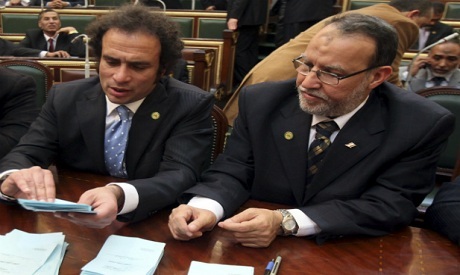 The Muslim Brotherhood’s Freedom and Justice Party won 105 seats – more than 50 per cent of the total assembly – while the Salafist Nour Party finished second with 45 seats. The country's oldest liberal party, the Wafd, came in third with 14 seats, while the recently-established liberal Egyptian Bloc managed to secure eight seats. Egypt’s first post-Mubarak elections were largely defined by the Islamist-secularist divide. While no Egyptian party overtly claims to be secular – a term with negative connotations in Egyptian popular discourse – Islamist parties have been accused by their critics of polarising voters by playing the religion card. The Islamist electoral victory, however, can hardly be explained solely by Islamist parties' resort to religion, with members of non-Islamist parties citing a number of additional factors. The Wafd's Sherif Taher, for one, says his own party's electoral performance had been affected by both "internal and external factors." Taher added that his party’s electoral performance had been "good, given the circumstances." "Old parties like the Wafd had been expected to disappear after last year's revolution, but instead we managed to secure almost three million votes," he said. According to Taher, new parties counted on the post-revolution "euphoria" of their newly politicised members, who, he said, are more susceptible to political disappointments and – potentially – disenchantment. The Wafd, by contrast, relied on its older, traditional voter base and was thus expected to grow in coming years, he said. Members of newly formed parties such as the Egyptian Social Democratic Party (ESDP) and the Free Egyptians Party – who together formed the Egyptian Bloc – believe their political immaturity ended up costing them parliamentary seats. Mahmoud Salem of the Free Egyptians, for one, said it was difficult to assess which of the party's 120,000 new members were suitably qualified to run in elections or manage electoral campaigns. Unlike older parties with more experienced cadres, Salem said that even those running on the party’s lists were relatively unknown to the party’s board of governors. It was “virtually impossible to get accurate information about candidates in the short time we had," he said. Salem explained that negotiations to form the liberal Egyptian Bloc from scratch and coordinate complex internal issues also cost the party badly-needed time. Similarly, Khaled El-Sayed of the Socialist Popular Alliance (SPA) complained that his party had wasted both time and energy moving from one electoral coalition to another. The SPA, formed in the wake of Mubarak's ouster, had initially been a member of the Egyptian Bloc before defecting to the Revolution Continues Alliance due to the Bloc's practice of recruiting candidates from Mubarak's now-defunct National Democratic Party (NDP). The lack of coordination between secular parties was also detrimental to their electoral prospects since they ended up competing for a similar constituency of voters, said Salem. For example, the Bloc's image was tainted by allegations by the SPA that it had recruited former NDP members, he explained. Hisham Imbaby, an active member of the ESDP, echoed Salem's view that religious parties were simply better organised than their secular counterparts. The Nour Party had the broad-based Salafist Call movement to work with, while and the FJP worked in coordination with the Muslim Brotherhood, which has long enjoyed widespread grassroots appeal. Newly-established secular parties, by contrast, had to build up their voter bases from scratch. The ESDP fielded candidates in less than half of the country's electoral districts, said party member Mohamed Abou El-Ghar. "We're a new party, having registered exactly three and a half months before elections," he said. "We couldn't build the party in the Delta so we only worked in Cairo and southern Egypt." "The political debate focused largely on religion and not on the issues of social justice that we wanted to get across to the electorate," complained the SPA's El-Sayed. "And neither the liberals nor the Islamists will be concerned with social justice when sitting in parliament or when drawing up a new constitution." What's more, both El-Sayed and Imbaby stressed the fact that liberal parties such as the SPA and ESDP had been closely involved in Tahrir Square sit-ins and demonstrations – both before and during the elections – while most Islamist parties had focused their energy primarily on electoral campaigning. Although Islamist parties won a sweeping parliamentary majority, many secular parties express optimism that their popular bases will grow with time. They say they just need better internal coordination, more grassroots work, and stepped-up efforts to counter “Islamist propaganda” in order to reap better outcomes in future elections.